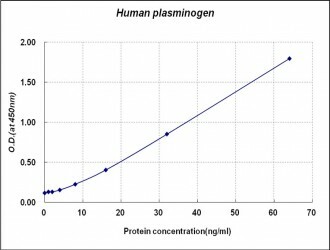 Plasminogen, a 92kDa glycoprotein, is produced by the liver and is present in plasma and extracellular fluids. Plasminogen is the inactive precursor of plasmin, a potent serine protease involved in the dissolution of fibrin blood clots. Plasminogen can be converted into the active plasmin by plasminogen activators urokinase (uPA), tissue plasminogen activator(tPA), factor XII-dependent components. 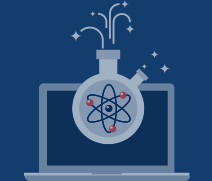 The plasmin system has been implicated in a variety of physiological and pathological processes such as fibrinolysis, tissue remodeling, cell migration, inflammation, and tumor invasion and metastasis. Hereditary defects of plasminogen is a predisposing risk factor for thromboembolic disease.